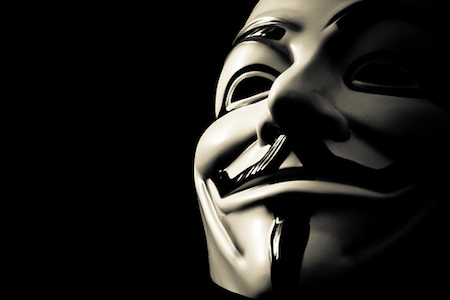 A personal favorite, “V for Vendetta” is based on the graphic novel written by Alan Moore and illustrated by David Lloyd. Set in the future, a masked freedom fighter known as V rouses oppressed and despondent citizens into rebelling against a fascist government that has committed biological warfare and other terrible crimes against its people. (Spoiler alert!) In the film, V is never unmasked, and his true identity is never revealed (even to the woman he loves)—yet all of London rises to his call. Why? To put it simply, V is a symbol people can and want to get behind. The vexing vaudevillian and his vivifying and verbose vernacular captures attention, provokes thought and insights action. As marketers, we strive to strategize and create brand personalities as mesmerizing as V. Doing so would certainly keep potential buyers coming back to our brands, thereby guiding them down the sales funnel. But it would also help us achieve one of the ultimate marketing goals: securing brand advocates. Let’s take a step back. First, we need to know what a brand personality is. According to the Business Dictionary, a brand personality is the human traits or characteristics associated with a specific brand name. These traits give a brand a distinct personality—like V—that help make it more relatable or unique (depending on your marketing strategy) in potential buyers’ minds. Take Dollar Shave Club, for example. Dollar Shave Club sells one of the simplest products on the market today: razors. When it comes to selling razors, there aren’t too many ways you can distinguish your product, which is why Dollar Shave Club focuses as much energy (if not more) on its distinctly humorous brand personality as it does on its product. It’s a move that’s really paying off: Dollar Shave Club has received praise from leading marketing websites, which likely helped the company to expand its product offerings, and hit a nerve center with consumers. So how do you strategize a successful brand personality? The first thing you need to know is it takes time. V didn’t dig out and rebuild that tube station to Parliament in a day—it took him 20 years, in fact. Strategizing your brand personality won’t take quite as long, but it does require serious thought and usually several rounds of revisions. The second thing you need to know is it takes a team. V, while vehement, couldn’t complete his revolution without Evey and the people of London. Likewise, it only takes one person to come up with an idea, but it takes a team to give it substance. Research: Marketing strategy always begins with research. When strategizing your brand personality, first research your competition to see what they’re doing. From the evidence you can see, how are their buyers responding to their brand personalities? Next, research what personality will likely resonate with your buyers. The easiest way to do this is to ask the people who have already purchased your products or services during buyer persona interviews. Brainstorm: Once you have a clear picture of what’s being done and what your potential customers want, put it down in words to forge your brand voice. At Kuno Creative, we do this by writing down all the adjectives we think describe a brand then narrowing that list down until we’ve come up with a distinct list. Work with your designers to marry that voice with a fitting visual presentation (i.e. - colors, typefaces, logo and overall graphic style). Communicate and Carry Through: Once you’ve established your brand personality, communicate it to the entire team, especially those team members who create your marketing materials. The goal here is to keep the personality consistent. I’ll often see brands with engagingly fun personalities on social media only to find their entire look and tone is different in content marketing materials like case studies. You want your communications to look and sound like they’re coming from the same source. This way, people will recognize it’s your brand, even if it isn’t directly marked as such. Every brand has a story to tell. If you haven’t put serious thought into your brand personality (or it’s time for a refresh), there’s no better time to start than today. What tips do you have for developing a brand personality to remember? Share them in the comments! Lisa Gulasy applies her unique experiences in agency and journalism to manage, create and edit blogs, eBooks, whitepapers, email campaigns, web copy, press releases and more. Lisa also manages overall strategy and daily engagement of social media personas. Find her on Twitter, LinkedIn and Google+.